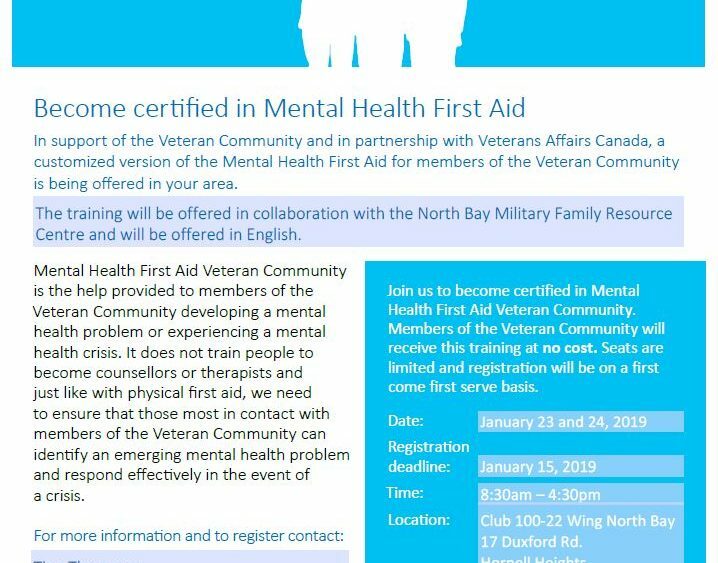 In support of the Veteran Community and in partnership with Veterans Affairs Canada, a customized version of the Mental Health First Aid for members of the Veteran Community is being offered in your area. The training will be offered in collaboration with the North Bay Military Family Resource Centre and will be offered in English. Mental Health First Aid Veteran Community is the help provided to members of the Veteran Community developing a mental health problem or experiencing a mental health crisis. It does not train people to become counsellors or therapists and just like with physical first aid, we need to ensure that those most in contact with members of the Veteran Community can identify an emerging mental health problem and respond effectively in the event of a crisis. 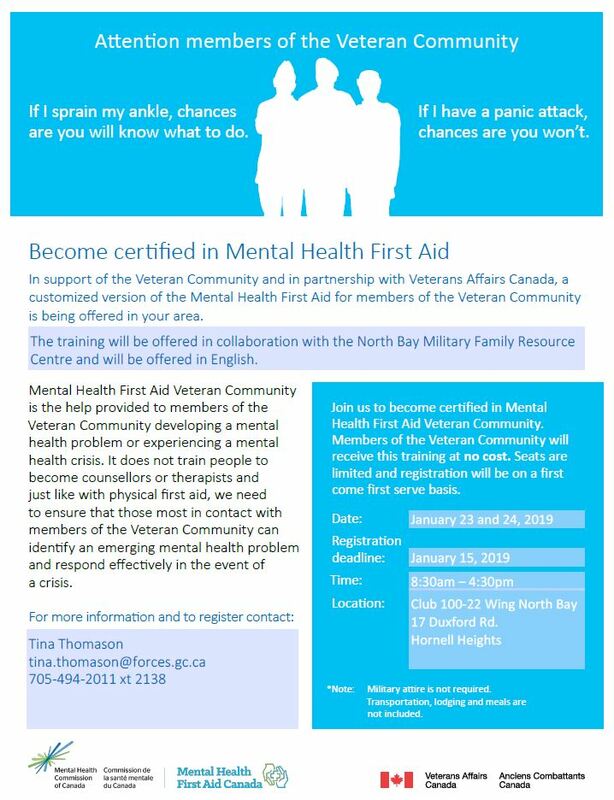 Join us to become certified in Mental Health First Aid Veteran Community. Members of the Veteran Community will receive this training at no cost. Seats are limited and registration will be on a first come first serve basis.